Divers are searching for submerged wreckage of the plane, along with flight-data and cockpit-voice recorders documenting the aircraft’s final moments. The accident is the first for Boeing’s (BA.N) most-advanced 737, which began flying for airlines last year, and is the worst commercial aviation disaster in three years. 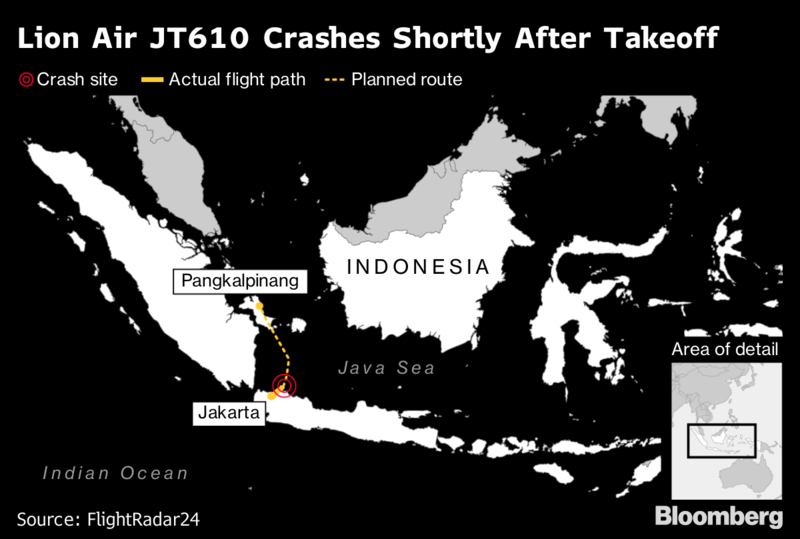 There were already hints of possible causes: a request by pilots to return to the airport, a maintenance issue on a previous flight and erratic air speed tracked before the jet’s final dive. But the limited and sometimes contradictory information about the flight doesn’t obviously match any previous accidents, said Steve Wallace, the former head of accident investigations at the U.S. Federal Aviation Administration. “I have no most-likely scenario in my head for this accident,” Wallace said. Indonesia’s rescue agency said it will deploy 14 ships and three helicopters in its efforts to locate the fuselage and help recover victims’ remains. It is scheduled to hold a briefing at 1 p.m. local time in Jakarta. Lion Air said late Monday night that they’ve recovered body parts in 24 bags. The accident is a setback for Indonesia’s efforts to improve air safety, after the country successfully lobbied to reverse a ban that had barred its carriers, including Lion Air, from flying to the European Union. A team of investigators from the U.S. National Transportation Safety Board, Boeing and engine maker CFM International -- a joint venture of General Electric Co. and Safran SA -- will assist a probe spearheaded by Indonesian authorities. The two-month-old 737 Max 8, operating as Flight 610, took off from the capital Jakarta headed for the island tourist destination of Pangkalpinang, at 6:20 a.m. local time Monday. Air-traffic controllers lost contact 13 minutes later when the plane was at an altitude of about 3,000 feet, according to Indonesia’s National Search and Rescue Agency. The aircraft, registered as PK-LQP, had experienced a maintenance delay on its previous flight from Denpasar late Sunday but was cleared by engineers to make the morning trip, Lion Air Chief Executive Officer Edward Sirait told reporters in Jakarta. The jet had just 800 hours of flight time after beginning service in August, according to Indonesia’s National Transportation Safety Committee. Flightradar24’s track of the flight shows the plane rising and climbing repeatedly with the speed also varying, both of which aren’t typical on the latest, computer-driven aircraft. Multiple failures involving the plane’s crew and equipment on the plane are possible explanations, from an erroneous speed indication to some sort of electronic interruption. Shortly after takeoff from Jakarta, one of the pilots requested permission to return to the airport, indicating the crew may have been struggling with some type of failure. The weather probably wasn’t a factor, according to the Indonesian safety committee. In its final seconds, the airliner was moving downward at a speed of about 350 miles (560 kilometers) an hour, far above the typical rate for a descent, according to preliminary data transmitted by the plane to ground stations and monitored by Flightradar24. That information will need to be verified with the more authoritative flight recorders, known as black boxes. Prior to Monday’s tragedy, Lion Air had suffered seven hull losses, or aircraft damaged beyond the point of repair, in 18 years of service, according to the Aviation Safety Network database. The rapidly growing carrier is the third-largest customer for the Max, trailing only Flydubai and Southwest Airlines Co., according to Boeing’s website. First delivered to Lion’s Malindo subsidiary, the narrow-body Max family of aircraft is Boeing’s fastest-selling 737 version. As of the end of September, Boeing had an order backlog of over 4,564 of the single-aisle planes and its order book is largely sold out through 2023. In Asia, where several dozen low-cost carriers have emerged over the last decade, customers include India’s SpiceJet Ltd. and state-owned, full-service carrier China Southern Airlines Co. The latest version of the 737 family, Boeing’s biggest source of profit, competes with Airbus SE’s A320neo range of jets. Boeing fell 6.6 per cent to US$335.59, the biggest drop since February 2016 on Monday. The decline was the largest on the 30-member Dow Jones Industrial Average, amid a broad rout of defense contractors and fears of a worsening trade war between the U.S. and China. Indonesia’s search-and-rescue agency said it expects no survivors from the crash and bodies of most victims were probably trapped inside the fuselage of the plane in the seabed. Rescuers have so far been able to recover only body parts, debris of the plane and some belongings of passengers, the agency’s Operations Deputy Bambang Suryo Aji told reporters in Jakarta. 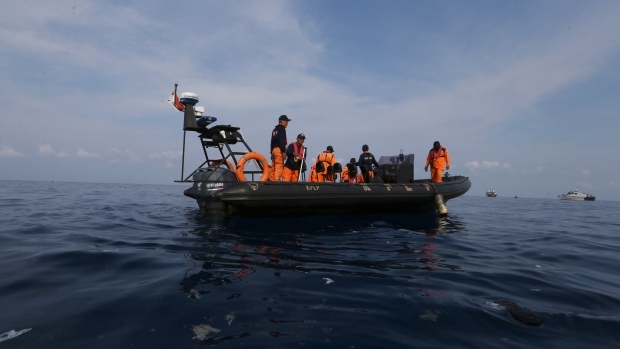 The search is focused on a 124-nautical-mile area in the Java Sea, he said. Based on the number of people on the plane, the incident is the most lethal since a Russian Metrojet-operated Airbus A321 carrying 224 people went down over Egypt in 2015 due to a bomb smuggled aboard. The last major air accident in Indonesia was in December 2014 when an AirAsia Indonesia Airbus A320 crashed into the sea during a flight from Surabaya to Singapore with 162 people on board. Lion Air, owned by closely held PT Lion Mentari Airlines, is among the largest customers for Boeing and Airbus aircraft, and its rapid growth is emblematic of both the promise and challenge for aviation in Indonesia. The Jakarta-based budget carrier has taken delivery of 13 of the 201 Max planes it ordered in 2012 as part of a deal valued at US$22.4 billion based on list prices. Still, the airline has seen its share of accidents and runway mishaps over the years. The most recent hull loss was in 2013, when a two-month-old Boeing 737-800 landed in the water short of a runway at Denpasar-Ngurah Rai Bali International Airport. While the aircraft fuselage broke apart on impact, there were no fatalities. Indonesia’s domestic airline market has boomed in recent years to become the world’s fifth largest travel market. Domestic airline traffic more than tripled between 2005 and 2017 to 97 million, according to Center for Aviation. Carriers have struggled with safety issues partly as a result of the pace of that expansion, as well as issues intrinsic to a region of mountainous terrain, equatorial thunderstorms and often underdeveloped aviation infrastructure. Lion Air was among Indonesian airlines that were banned by the EU from 2007 through 2016, according to the Aviation Safety Network database maintained by the Flight Safety Foundation. The U.S. Federal Aviation Administration, which also audits safety in other countries, followed a similar track as Europe. It found that the country didn’t have adequate aviation laws and standards during the same 10-year period. The European Commission said there’d been “no indication” that safety levels at Lion Air or safety oversight in Indonesia as a whole had deteriorated. The decision to remove Indonesian carriers from the banned list was taken in 2016 on the basis of expert analysis, Commission spokesman Enrico Brivio told reporters in Brussels on Monday. 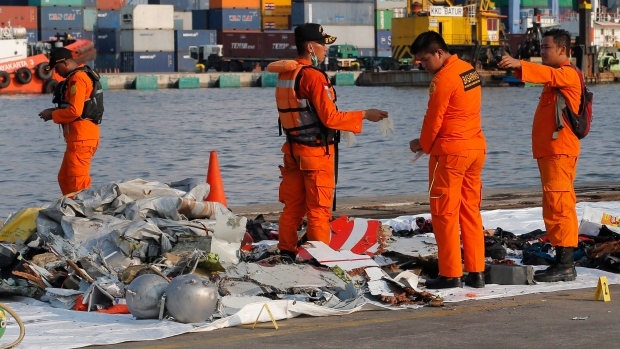 After Monday’s crash, Australia’s government barred its officials and contractors from flying with Lion Air until further notice, and said the decision will be reviewed when findings of the accident investigation are clear.